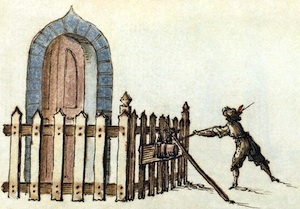 Shakespeare said it best in Hamlet: “For ’tis the sport to have the enginer / Hoist with his owne petard.” Thus it is with Mark Hurd, hoisted by his own petard; ousted by his own rules. Shocked by his abrupt resignation, many speculated that some juicy scandal was hidden underneath. But the news since Friday has left observers scratching their heads: could the CEO of one of the largest companies in the world really have been brought down for lying about his dinner companions? Trade shows are a veritable swag-fest, some with great loot and some with junk. I’ve been critical of the booth babe and chotchkie phenomenon, but my friend Kevin Houston has a better suggestion: Donate your (useful) swag like backpacks and pens to school kids in need. As Compellent, a sponsor for Gestalt IT’s Tech Field Day Seattle, interviewed me for a post on their blog, I thought it would be fun to turn the tables and interview them right back! You will notice some similarity in the questions and answers – this was entirely coincidental, since we did not see each other’s answers prior to submitting them! 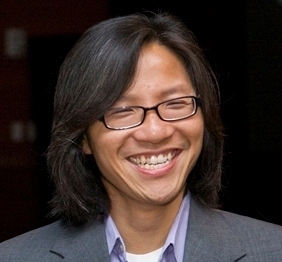 Following are three questions answered by Compellent Director of Corporate Communications, Liem Nguyen. Read my answers over at Compellent’s Around the Block blog! There was much to see from HP at Tech Forum in Las Vegas, but we wanted to highlight some of the smaller companies exhibiting there. Two in particular caught our attention: Silentium, with their noise-reducing server racks, and QLogic’s entry-level Fibre Channel switches. The Internet is responsible for the demise of many “meatspace” industries, from magazine publishing to CD sales, but there are some things it’ll never do: No matter how much time you spend interacting online, meeting in person is something else entirely. I’m not trying to advocate a return to the old world of tech conferences and user groups. Rather, I envision a new breed of connected events that reinforce online communities with real face-to-face communication. Amid much fanfare and, EMC launched VPLEX today at EMCWorld 2010 in Boston. The company previously outlined the vision for globally-distributed federated storage, but today’s announcement adds both meat and bone to that concept. EMC promises that VPLEX will transparently move data (and thus workloads) between storage systems locally or across a metro area and the company will eventually enable this technology across global distances. The CEO Shuffle is in full force in the IT infrastructure industry. Geoff Barrall, founder and CEO of Data Robotics, recently stepped aside for Tom Buiocchi, and Alex Bakman of VKernel shifted to CTO, bringing in Doug McNary. Now Panasas and ParaScale are replacing their CEOs with industry veterans. The message is clear: The economy is improving, and investors want their portfolio companies to begin growing again. As usual, the Tech Field Day event received massive amounts of attention, generating thousands of tweets and dozens of blog posts and videos from delegates and bystanders alike. We will attempt to collect those links here for reference and review. The Stack Wars Have Begun! Just as public cloud computing is beginning to catch on, the enterprise data center world has been shaken up by the biggest IT product vendors. Rather than sit back and watch their wares commoditized, companies like Cisco, EMC, HP, and now HDS are stepping up to the plate with integrated “stacks” that include server, storage, networking, and management software. The next-layer players, VMware and Microsoft in particular, are joining hands, too, eager to support these stacks. 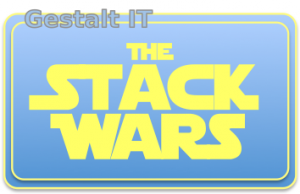 To paraphrase the wise Jedi master, Yoda, “cloudy, the future is.” So, the stack wars have begun! We were pleased to learn about Virtumania, the new podcast put together by Rich Brambley of Gestalt IT and VM/ETC with help from just about everyone else we know, especially including the InfoSmack crew of Marc Farley and Greg Knieriemen.